Jay S. Gephart joined the faculty of Purdue University in the fall of 1995 after completing 12 years as a public school band director. In July of 2001, he was promoted to the rank of Associate Professor with tenure and in 2009 was promoted to Full Professor. 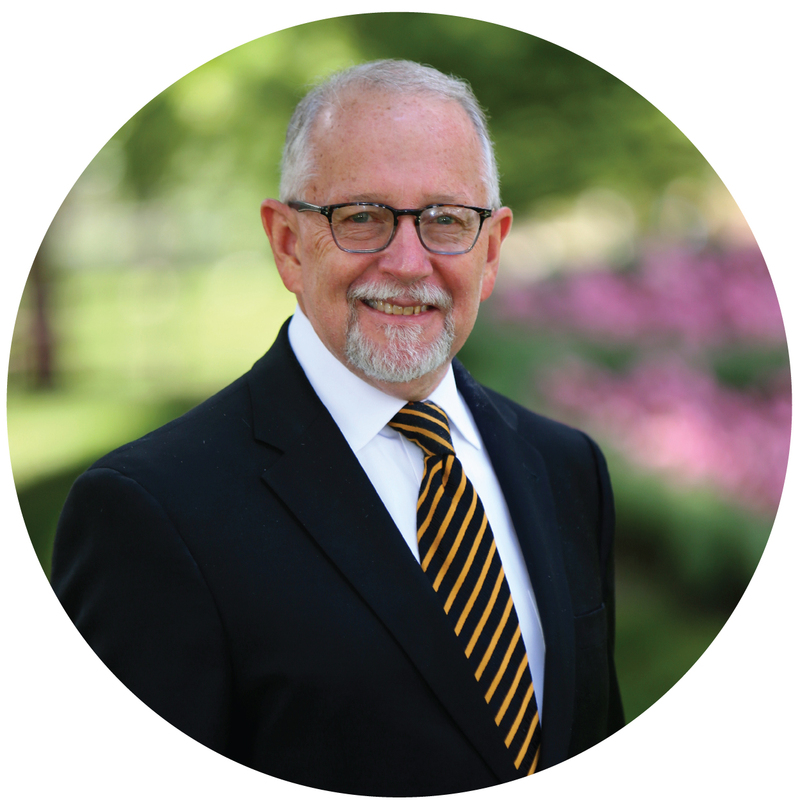 In November, 2006, Professor Gephart was appointed Director of University Bands and currently serves as the Al G. Wright Chair of Purdue Bands and Orchestras. He is the director of the Purdue “All-American” Marching Band the Purdue University Wind Ensemble. He is also coordinator of the concert band program. From 1995-2006, Professor Gephart served as the music director for the Purdue Symphony Orchestra. He also serves as Artistic Director for the Kokomo, Indiana Park Band. Professor Gephart received a Master of Music Degree in Tuba Performance with High Distinction from Indiana University in 1988 and a Bachelor of Music Education Degree with Distinction from Indiana University in 1983. Under his direction, the Purdue Wind Ensemble and Symphony Orchestra have shared the stage with some of the nation’s outstanding soloists and have represented Purdue at the Indiana Music Educators Association state convention on two occasions. In February of 2012 the Purdue Wind Ensemble performed a concert at the national convention of the American Bandmaster’s Association, held in Indianapolis. Under his direction, the Wind Ensemble has also performed concerts in Chicago’s Symphony Center and in New York’s Carnegie Hall on two occasions. Under his direction the Purdue “All-American” Marching Band has traveled literally around the world. With recent performances in Beijing China, the Macy’s Thanksgiving Day Parade in New York City, the St. Patrick’s Day Parade in Dublin, Ireland and La Feria de las Flores in Medellin, Colombia, the “All-American” Marching Band continues to serve as an ambassador for Purdue, the state of Indiana and the nation. Professor Gephart has served as a guest conductor, clinician, lecturer and adjudicator both nationally and internationally having conducted All-State Bands in Indiana, Virginia, Colorado, Arkansas and Kentucky. He has served as a clinician at the Midwest International Band and Orchestra Clinic in Chicago and at numerous conferences and in-service workshops. In 1997, he was selected to conduct the music camp honor band for the Department of Education in the Northern Region of Queensland, Australia. In his career he has been the recipient of many awards and honors including the Indiana Outstanding Bandmaster Award, the Purdue University New Professional Award, and the 2018 James Calvert Outstanding Music Educator Award. In 2016, he was named an Honorary Old Master by Purdue University. He has commissioned numerous works for wind band, including “Anthem” by Steven Bryant which was premiered in 2011 celebrating the 125th Anniversary of Purdue Bands. Most recently he has served on the faculty of the American Band College in Ashland, Oregon and serves on the ABC Board of Directors. 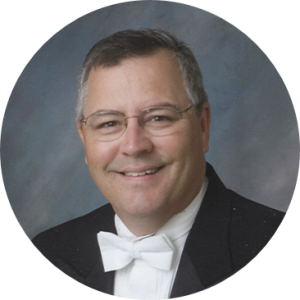 Mr. Gephart has been very active in various professional organizations including National Association for Music Education, National Band Association, College Band Director’s National Association, Indiana Bandmaster’s Association, Indiana Music Educators Association and Phi Beta Mu. In 2018, he was named Collegiate Educator of the Year by the Indiana Music Educators Association. From 2010-12, he served as President of the Big Ten Band Director’s Association and currently holds the position of Vice President and Treasurer of the John Philip Sousa Foundation. He is also a member of the NBA Revelli Composition Contest selection committee. In 2012, he was elected to a position on the board of the National Band Association, serving as the Collegiate Representative. Professor Gephart was elected to membership in the prestigious American Bandmaster’s Association in 2008. He served on the ABA Board of Directors from 2012-present and was elected Vice President in March, 2018. He and his wife Jana have four children and two grandchildren. They reside in Lafayette, Indiana. Dr. Marion T. “Mo” Trout is an active clinician, adjudicator, trumpet soloist, and guest conductor for jazz bands, concert bands and orchestras throughout the United States. He has conducted numerous All-District, Region and Area jazz bands as well as All-State Jazz Bands in Oklahoma and Indiana. As a Professor of Music and director of the jazz program at Purdue University since 1997, Dr. Trout directs the Purdue Jazz Band, the American Music Repertory Ensemble, the Jazz Lab Band, and the Concert Jazz Band. He also teaches a Jazz Theory Workshop and Jazz History. Under his direction the Purdue Jazz Band has collaborated with numerous jazz artists including Bill Watrous, Bob Mintzer, the New York Voices, Tom Harrell, Allen Vizzutti, Eddie Daniels and Eric Marienthal to name only a few. Dr. Trout’s Purdue bands have toured throughout the US and Europe and performed at such prestigious venues as the University of North Texas Jazz Festival, the Notre Dame Jazz Festival and the Elmhurst Collegiate Jazz Festival garnering numerous band and soloist awards. In three European tours the band has performed at the Montreux, Alpine and North Sea International Jazz Festivals and hosted a study abroad tour to Italy in 2008 and another to Eastern Europe in 2011. Dr. Trout received his Bachelor of Music Education from Texas Christian University and both his Master of Music Education degree and Doctor of Musical Arts degree (Trumpet Performance) from the University of North Texas. 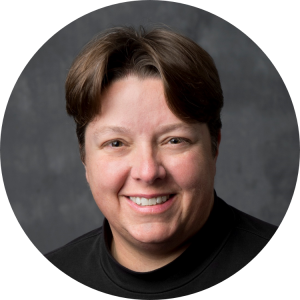 Dr. Pamela J. Nave, Associate Professor of Bands, serves as Purdue Bands & Orchestras Percussion Specialist. Formerly on the bands faculty at Ball State University, she completed her Doctorate of Musical Arts degree at The Ohio State University. At OSU, she won the graduate concerto competition as a marimba soloist, adding it to a list of undergraduate honors at Ball State that includes being a two-time recipient of the James L. Lane Percussion Award and winner of BSU’s Concerto Competition. Between degrees, Nave, a member of Pi Kappa Lambda, operated a private percussion studio in Noblesville and performed as a freelance percussionist throughout Indiana. Matthew R. Conaway was appointed to the Purdue faculty in August 2012 as an Assistant Professor, and was promoted to the rank of Associate Professor with tenure in July 2018. 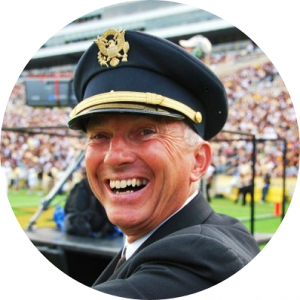 He serves as an associate director of the famed “All-American” Marching Band, directs the “Boiler Brass” Men’s Basketball Pep Band, and conducts the Purdue Symphonic Band and Varsity Band. He also serves as the department’s technology coordinator, and coordinates the Volunteer Management Team. He is responsible for coordinating marching band travel, and has organized trips around the Big Ten, as well as a significant performance experience in Medellín, Colombia in 2015. He has mentored many student organizations, previously serving as sponsor for the Beta Sigma chapter of Tau Beta Sigma, the Gamma Pi chapter of Kappa Kappa Psi, the Band & Orchestra Technology Office, and the Purdue Musical LGBTQ+ Society. Conaway also serves the university as a member of the Purdue University Senate, and serves on both the Student Affairs Committee and the Advisory Committee on Equity. Prior to his appointment to Purdue’s faculty, Conaway served for ten years as the Director of Bands for the West Lafayette Community School Corporation, during which time the program received many state and national accolades for musical excellence. He brought back the Marching “Red Devil” Band, basketball pep band, jazz band, and symphony orchestra to the music department, and raised band program enrollment by over 200 students in grades 5-12. During his tenure, West Lafayette became regarded as one of the great small-school music programs in Indiana, with two state concert finals appearances and dozens of superior festival ratings. Under Conaway’s leadership, the NAMM Foundation recognized the West Lafayette Community School Corporation as one of the “Best Communities for Music Education in America” in 2006, 2010, 2011, and 2012. Conaway is an award-winning, internationally-known composer for concert bands, with over fifty original works currently in publication. 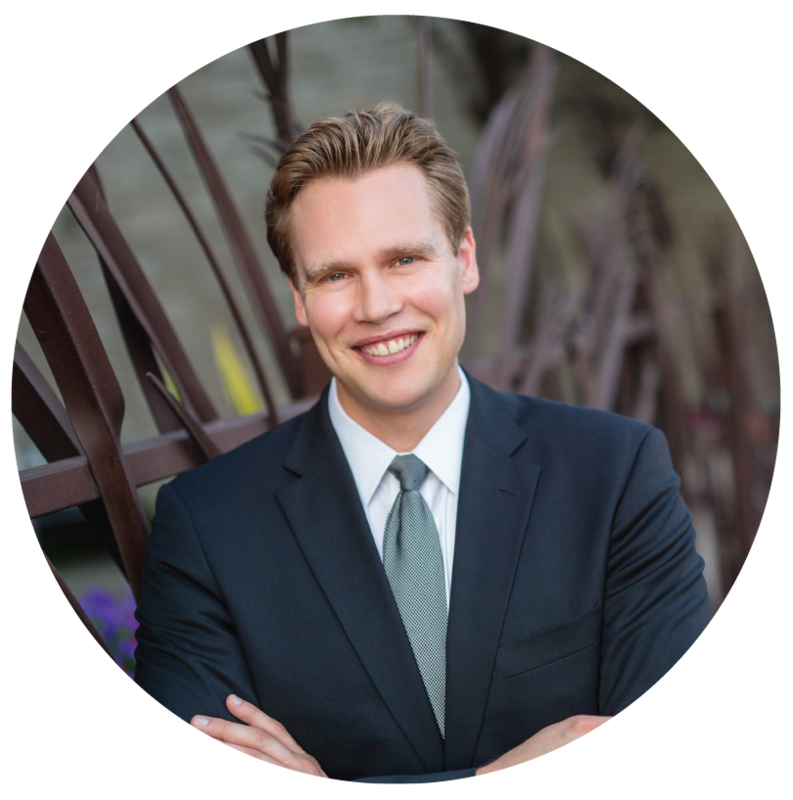 His compositions range from very beginning through very advanced, based on his experience working with all levels of performers in grade 5-12, collegiate, and professional ensembles. He has received commissions from many schools and honor bands in the last five years. Conaway was honored to experience his Carnegie Hall debut in March 2016 with a world premiere performance by the Purdue Wind Ensemble. 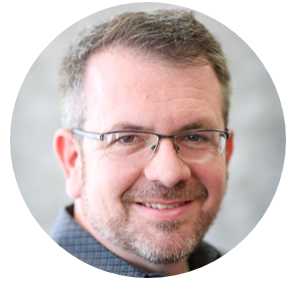 He is also an accomplished arranger, and has written for athletic bands at Indiana University, Purdue University, and many high schools and colleges throughout the country. Millions of people have heard Conaway’s arrangements at multiple festivals, bowl games, basketball tournaments, and other major sporting events since 1999. His compositions and arrangements are available globally through the C.L. Barnhouse Company and the Hal Leonard Corporation. After graduating from Woodhaven (MI) High School in 1997, Conaway attended Indiana University – Bloomington, where he studied arranging with David Woodley. He received his Bachelor of Music Education with Distinction in 2001, and earned a Masters of Music degree from the American Band College of Sam Houston State University in 2010. He is a member of NAfME, CBDNA, NBA, Indiana Music Educators Association, Indiana Bandmasters Association, and ASCAP. He is an honorary member of Tau Beta Sigma and Kappa Kappa Psi, and was recently inducted into the Gamma chapter of Phi Beta Mu. He is in demand as a clinician and adjudicator at concert and marching band festivals and competitions throughout the United States. Adam M. Bodony is currently serving as Assistant Professor at Purdue University where he conducts the Philharmonic and Symphony Orchestras, and oversees the music department’s applied music program. Before being promoted to Assistant Professor, Mr. Bodony served Purdue University as both Visiting Instructor and Visiting Lecturer. Mr. Bodony also currently serves as Artistic Director of the New World Youth Orchestras in Indiana. Based at the Hilbert Circle Theatre in Indianapolis, the New World Youth Orchestras is an organization with approximately 220 young musicians enrolled from all over the state of Indiana. Under Mr. Bodony’s direction, the organization’s top orchestra made its Carnegie Hall debut in 2016 and its Orchestra Hall (Chicago) debut in 2017. In March 2018, the top orchestra performed at the Music For All National Festival in Indianapolis. Additionally, through partnerships with local universities, Mr. Bodony sets and oversees a pre-college music education curriculum for the members of the New World Youth Orchestras, including areas in music theory, music history, chamber music, and conducting. 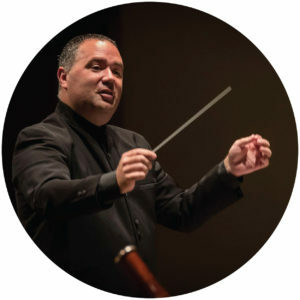 Mr. Bodony’s previous posts include Associate Conductor of the Missouri Symphony Orchestra’s Hot Summer Nights Music Festival (2013-2015), Artistic Director of the Bloomington Symphony Orchestra (2014-2016), and Cover Conductor and Pre-Concert Lecturer for the Indianapolis Symphony Orchestra (2014-2015). He has also worked with the Indianapolis Chamber Orchestra, Bohuslav Martinu Philharmonic Orchestra (Czech Republic), as well as several high school, college, and community ensembles across the country. Mr. Bodony earned a bachelor’s degree in both religious studies and trombone performance from DePauw University in 2008. He later received a master’s degree in trombone performance from Indiana University in 2011, where his primary teachers were Jim Beckel and Carl Lenthe, respectively. Mr. Bodony also pursed conducting studies at the St. Petersburg Conservatory (Russia) and Indiana University. His primary conducting teachers include Arthur Fagen, Leonid Korchmar, and Kirk Trevor. As a trombonist, Mr. Bodony has frequently performed with the Indianapolis Symphony Orchestra and can be heard playing 2nd trombone on two album releases under the Telarc label, conducted by Krzysztof Urbański and Jun Märkl, respectively. In 2013, Mr. Bodony was honored with the Beckmann Emerging Artist Award given by the Arts Council of Indianapolis to a young professional with exceptional talent and promise in a given field. Jonathan Sweet will join the Purdue Bands & Orchestras faculty as Assistant Professor of Bands in the fall of 2017, after finishing coursework towards a Doctor of Musical Arts Degree at the University of Kentucky. Sweet received his Bachelor of Music Education from Abilene Christian University in 2004, and earned a Masters of Music degree in Wind Band Conducting from Stephen F. Austin State University in 2013. Prior to his appointment to Purdue’s faculty, Sweet served as a Graduate Teaching Assistant at the University of Kentucky. He taught undergraduate conducting students, marching band techniques, and private lessons in the Euphonium studio. He also conducted the Concert Band, guest conducted the Wind Symphony and Symphony Bands, assisted with the Wildcat Marching Band, and directed the Wildcat Pep Band for Women’s Volleyball, Women’s Gymnastics, and Men’s Basketball. Prior to arriving at the University of Kentucky, Sweet spent 11 years as a public school band director in Texas, where his groups frequently achieved superior ratings, best in class awards, best in festival awards, outstanding visual awards, and outstanding general effect awards. In addition to his teaching experience, Jon has operated a marching band design and consultation business, Sweet Marching, where he has designed over 150 shows since 2004. These designs have included performances at Bands of America Grand Nationals, Bands of America Regionals, and Super Regionals, Texas State, Area and Regional Marching Band Championships, and the University of Kentucky. In demand as both a marching and concert band clinician, Jon has worked with many fine groups and incorporates his love of energetic performances and positive experiences in the education of students and leaders. Jon has adjudicated for UIL, USBands, American Classics Festivals, and other invitational competitions. Jon is happily married to his wife, Lori. The two just celebrated their 12th anniversary. Mr. Fletcher’s 31 year public teaching career includes directorships at Monroe-Central Jr./Sr. High School (1985-1992), Winchester Community High School (1992-1998), Highland High School (1998-2010), Anderson High School (2010-2011), and a second stint at Winchester Community High School (2011-2016). His high school concert bands have performed at the IMEA State Convention on three occasions with ensembles from three different schools, twice at the ISSMA State Concert Band Finals with the Highland Wind Ensemble, and numerous times at ISSMA Organizational and IMEA Concert Band Festivals. Fletcher’s successes as a high school marching band director include several appearances at the ISSMA Marching Band State Finals. His true niche and passion, however, has been with the historic Indiana State Fair Band Day contest. He is the only director to win the Indiana State Fair Band Day at four different schools and holds a record thirteen wins for the most State Fair championships won as a director. His marching bands have performed in numerous major parades including the Indianapolis 500 Festival Parade, the Philadelphia Thanksgiving Day Parade, the Hollywood Christmas Parade, the National Memorial Day Parade in Washington D.C., and the Macy’s Thanksgiving Day Parade in New York City. Douglas Fletcher was named the 2008 IMEA Outstanding High School Music Educator and in 2010 was the recipient of the Phi Beta Mu Outstanding Bandmaster Award. In August of 2016, Fletcher was presented the prestigious Indiana “Sagamore of the Wabash” award in recognition of his highly successful high school teaching career. Fletcher holds a Bachelor’s and Master’s degree in Music Education from Ball State University. He played trombone in the Anderson Symphony Orchestra for twenty years and played for ten years in the Muncie Symphony Orchestra. 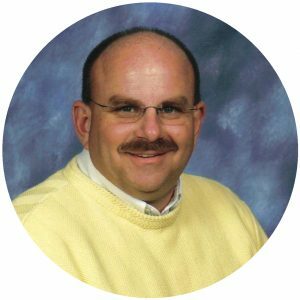 Doug has served as choir director/organist at various churches in Anderson, Muncie, and Winchester and his currently the head organist for St. Andrew United Methodist Church in West Lafayette. He also arranges music for several marching bands and frequently serves as a clinician and adjudicator. Doug also coordinated the IMEA Honor Band for several years and has served on the IMEA Board of Directors. 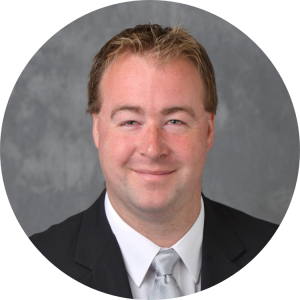 Professor Fletcher joined the Purdue faculty in the fall of 2016 as a visiting instructor and is currently serving as Director of Operations for Purdue Bands and Orchestras in addition to conducting Fall and Spring Concert Bands. Doug is married to Amy Fletcher, who teaches in the Greenfield-Central Schools. The Fletchers currently reside in West Lafayette with their two black labs, Bailey and Boaz. Max Jones, who took a sabbatical to work with the Purdue “All-American” Marching Band in the fall of 2005, was named to the position of Assistant Professor of Bands at Purdue University in 2006, replacing retired Professor Bill Kisinger. He served as the assistant director of the marching band, director of Symphonic Band and Boiler Brass. In addition, he supervised the Partners in Music Education program and the Clothing Office. In 2011, Mr. Jones was appointed Recruitment, Education and Outreach Coordinator at Purdue University in the University Bands department. He continues to serve as an assistant director of the marching band, coordinator of the Partners in Music Education program, and supervisor of the Clothing Office and “All-American” Marching Band Student Leadership Team. His teaching career began at Monroe Central HS (1968-70) followed by 13 years at Winchester Community HS (1970-83), two years at Southport HS, and 21 years at Concord Community HS in Elkhart (1985-2006) where he served as Director of Music. Mr. Jones retired in 2006 after 38 years of public school music education in Indiana. His marching bands were among the finest in the nation, placing first in the Indiana State School Music Association state marching band competition eight times, and state runners-up 9 times. Mr. Jones’ Winchester Marching Band, “the Force”, won the prestigious 1977 Great Bands of the Orange Bowl national championship. Over the years, his Winchester and Concord marching bands performed numerous times in the Macy’s Thanksgiving Day Parade in New York City, the Orange Bowl Parade in Miami, the Fiesta Bowl Parade in Phoenix, the Hollywood Christmas Parade and the Gimble’s Thanksgiving Day Parade in Philadelphia. Mr. Jones’ Concord Marching Band was the subject of author Kristen Laine’s book, American Band, a portrait of life in the nation’s heartland as seen through the lens of a unique American ritual. Symphonic bands directed by Mr. Jones at Concord High School and Southport High School were state finalists in the Indiana State School Music Association concert band state finals many times during his tenure, placing as high as third on several occasions. All of his bands consistently earned ‘Superior’ ratings at ISSMA contests. Mr. Jones served as President of the Indiana State School Music Association four times during his career, President of Phi Beta Mu Gamma Chapter, and was a member of IBA, IMEA, Purdue University Bands Advisory Board, the Indianapolis 500 Festival Parade Committee, and Assistant Coordinator for the Indiana State Fair Band Day. In 1991, he received the Phi Beta Mu Outstanding Bandmaster Award, and in 2004 was inducted into the Phi Beta Mu Hall of Fame. Mr. Jones is a graduate of Ball State University and earned his B.M. in Education from Ball State as an organ major in 1967 followed by his M.M. in Education in 1969.